Zenith has launched its first limited-edition timepiece in partnership with Wounded Warrior Project® (WWP). 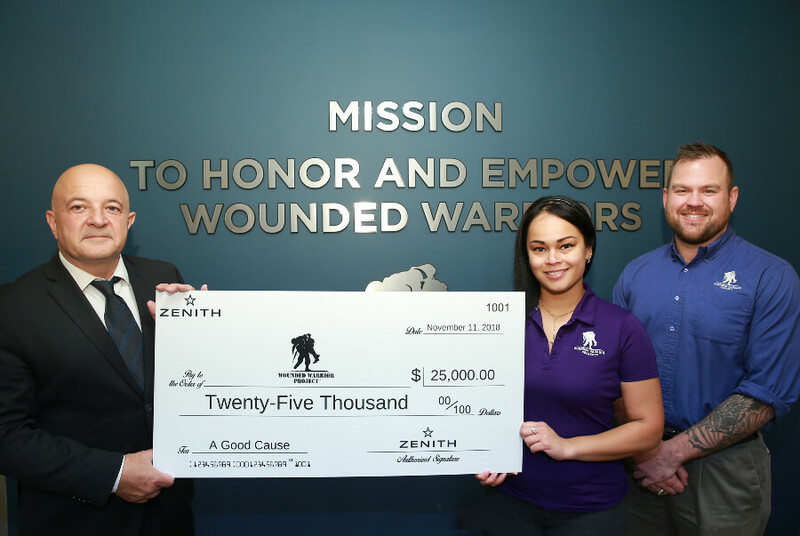 The Manufacture is proud to be expressing its support by making a donation to this charitable organization that honors and empowers injured service members who bravely volunteered to serve their nation on or after the events of September 11, 2001. The new Pilot Cronometro Tipo CP-2 USA Editionwatch will be sold nationwide in a limited run of 50 units. This is particularly appropriate for a Manufacture reputed for equipping various armed forces with models meeting their demanding technical specifications in terms of reliability, readability and robustness. 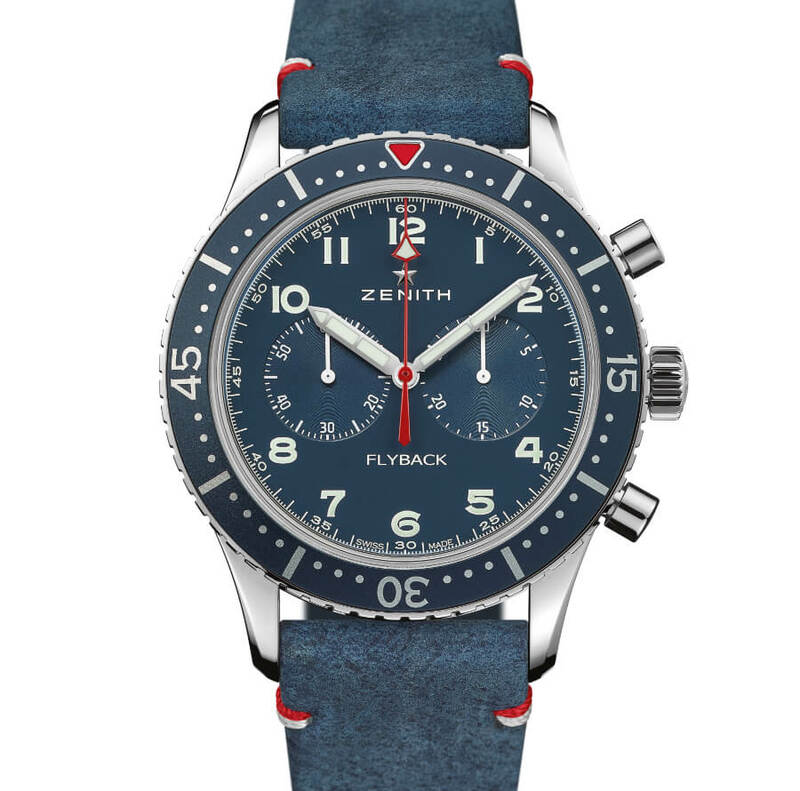 The ranks of Manufacture Zenith historically include models that have made an indelible imprint on watchmaking, notably including its iconic pilot’s watches. The original 1960s TIPO CP-2 is often identified under that name. 'CP' stands for cronometro da polso (wrist chronograph). TIPO CP-2 chronographs belong to the exclusive circle of legendary chronographs that have earned the status of exceptional timepieces in both military and horological history and are now sought-after collector’s items. 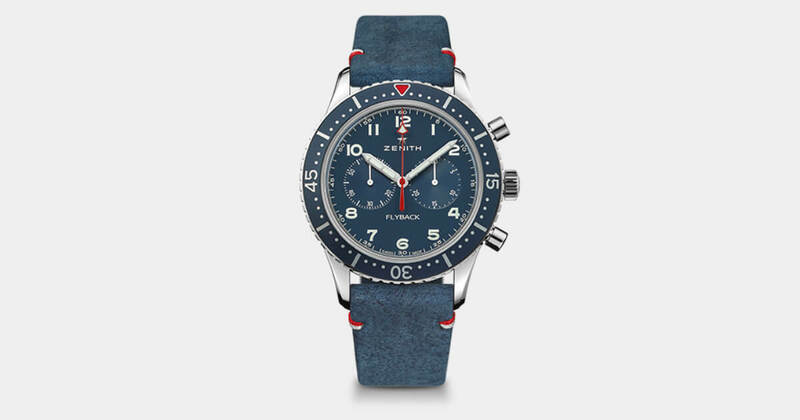 At Baselworld 2016, Zenith presented its tribute to one of the most coveted military pieces, the Heritage Cronometro Tipo CP-2, and is now paying a fresh tribute simultaneously serving a concrete philanthropic purpose. The 43mm case of the Pilot Cronometro Tipo CP-2 USA Editionfeatures a rotating bezel inspired by the US flag, a theme picked up on the oscillating weight with its Côtes de Genève motif. In addition, for the very first time, the watch features a matte blue dial coordinated with a matching aluminum ring inside the bezel. The triangle marker and hand have both been changed to red. Fitted with a special blue kudu-hide strap with white and red stitching, the USA Edition puts on a modern spin on patriotism and pays tribute to the nation and its soldiers. For more information visit Zenith Online.